Ballot initiatives to expand Medicaid health coverage in three Republican-leaning states have momentum heading into Tuesday’s midterm elections. 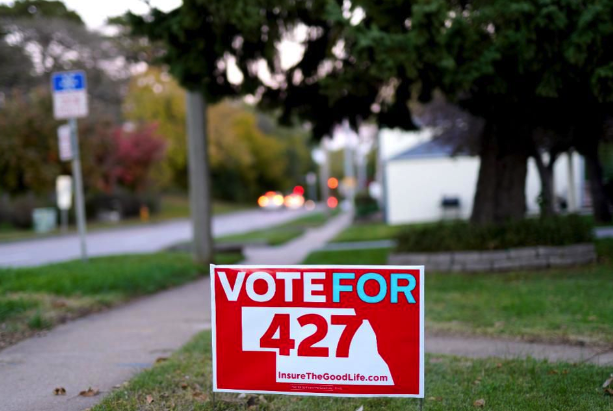 Voters in Idaho, Nebraska and Utah could follow the lead of voters in Maine who last November voted to expand Medicaid for poor Americans under the Affordable Care Act via ballot initiative. These states are seeking ballot initiatives because their Republican-leaning legislatures or governors have been roadblocks to the idea. In Idaho, Republican Gov. Butch Otter gave a surprising endorsement to his state’s ballot initiative last week when he appeared in a new ad that began airing in support of Medicaid expansion. He called it, known as Proposition 2, an “Idaho grown solution,” adding later in the ad that it was the “right thing” for the state. Republican support is also showing up in polling in Utah, Idaho and Nebraska where public and internal campaign surveys are showing nearly 60% of voters in favor of the ballot initiatives to expand Medicaid. A recent poll in Utah, for example showed 59% report, which was an improvement from 54% in June, supporters said. In Nebraska, not expanding Medicaid has meant a loss of hundreds of millions of federal dollars. In part because of the economic benefit to Nebraska, influential newspapers have endorsed the ballot initiative. * – If Idaho votes to expand Medicaid, 69,000 would gain coverage and the uninsured rate would fall to 9.9% from 14.6% . * – If Nebraska votes to expand Medicaid, 45,000 would gain coverage and the uninsured rate would fall to 9.6% from 12.4% .